Obesity and weight gain have become a common health problem in our country. Over the past decade, approximately two thirds of our country is either overweight or obese. If you've tried dieting to lose weight before, you already know that fad diets just do not work. The fact is, you need to change the way you think about food and exercise to establish a healthy lifestyle, and nobody understands that more than we do. At Ostir Physical Medicine and Chiropractic, we have brought together a multidisciplinary team of physicians who have specialized training and expertise in helping people lose weight, and more importantly, keep it off. Although our primary goal is to help our patients reach their target weight, we also emphasize the importance of education in developing healthy habits. That's why we provide medical weight loss counseling on subjects ranging from nutrition and fitness to behavior modification and medical treatment. Our comprehensive weight loss approach has been proven effective in helping our patients lose weight, in part because we develop a customized program for each of our clients. Our program combines improved nutrition and portion control, along with behavior modification. Research demonstrates that proper education regarding improved nutrition, behavior modification and incorporating exercise is essential for each patient to maintain weight loss and health status. Many patients benefit from FDA approved appetite suppression medication that assist in restructuring nutritional habits. Lipotropic-B12 injections are incorporated into our program and include a combination of B-complex vitamins as well as specific amino acids to help the body boost its ability to metabolize fat more efficiently and improve energy levels. Whether you want to lose weight to look better or because you are suffering from poor health, we can help. If your weight is taking a toll on your physical and emotional well-being, come to Ostir Physical Medicine and Chiropractic to start your journey to a happier, healthier you. 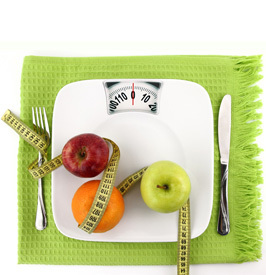 For more information on Synergy Medical Weight Loss please visit here.